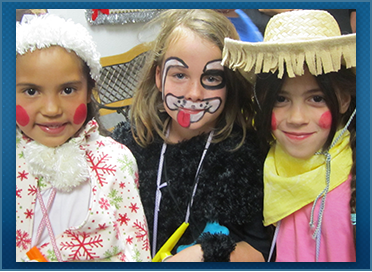 McDowell Mountain is proud to offer excellent programs for preschool and kindergarten students in our community. All our teachers are “AZ Highly Qualified” educators. Take a moment to read through our program highlights below, and let us know if you have any questions. We can be reached at (480) 664.5212 or (480) 664.5211. We are happy to offer two excellent preschool programs. We offer both developmental and community preschools for three and four year olds and for children who turn five after August 31. Community preschool is a tuition based program consisting of five half days costing $335.00 per month and five full days costing $560.00 per month. You may sign up for five half days (mornings), five half days(afternoons), or five full days of preschool. The children also attend four special area classes - Art, Music, STEM, and P.E. Developmental preschool is a four-day program either in the morning or in the afternoon for children who are delayed in areas of development (such as speech/language, motor skills, social-emotional, cognitive, or adaptive skills) and for peer models. Tuition is $250.00 per month for children we select as peer models in the Developmental Preschool program. Peer model students provide positive peer interactions; demonstrate play skills, and model appropriate language and behavior for children with special needs while in the classroom setting. For additional information about our preschool programs, please read our information flyers located in the "Information" section of this page. McDowell Mountain offers free, full day kindergarten! Half day kindergarten is also available for morning instruction. Your child must be five years old before September 1. Our strong academic program includes 350 daily minutes of instructional curriculum. We teach language and literacy, math, social studies, and science along with related arts classes in music, art, physical education, and technology. We will need the enrolling child's birth certificate, immunization records, and proof of residency upon registration. For additional information about our kindergarten program, please read our information flyer located in the "Information" section of this page.